Why am I ashamed to be Welsh today? So, today we voted on the EU Referendum. My hopes were that we’d stay but on some level, I knew this would be the result. I was scared of this happening but I knew I wouldn’t be able to feel what I’m feeling now until it happened. By the title of this blog post, you can see I am currently ashamed of being Welsh. This is due to the way we voted in the referendum, my home town of Swansea voted Leave and current city of Cardiff voted stay. One of very few Welsh regions to do so. I am ashamed of the Welsh majority on this matter due to the reason that made me proud to call myself Welsh. Over this referendum I have started to understand that being proud of your nationality isn’t about the idea you are better than another, just appreciating what your country/city/town/whatever has done and the community you are in. c) Making our own laws. Let’s start with Immigration, from my experience moving around the South Wales region, the Welsh are kind hearted people that tourists have found lovely, welcoming and kind. Our Rugby matches are filled with our supporters mixing with the other teams supporters and enjoying each others nationalities and coming together over a shared interest. You go to a Welsh pub and as long as you can banter about the English being the worst, then boom! They’ll except you and have a pint with you. 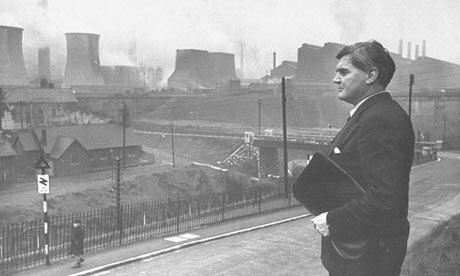 The NHS was set up by Welshman who went by the name of Nye Bevan. He worked in the Welsh Labour Party. The NHS has been a GEM in the UK, by paying our taxes, we were covered for our health needs. The Tories have been trying to destroy the NHS for years and get it privatised which would be the opposite of Nye Bevan’s aim. If you wanted the NHS to have more funding, why would you give all the power to the political party who wishes it to be destroyed? Then, the making of our own laws. The UK has had the EU at arms length, we were picking and choosing what was right for us. Wales has a similar version to this, it’s called The Welsh Assembly government. Albeit we don’t have that many law making functions as… THE UK MAKES LAWS IN LONDON. The Welsh assembly government stopped the increase of student tuition fee loans, we created business grants and made community projects. We worked with the EU to get INCREDIBLE FUNDING for our cities and towns. Swansea University got a Bay Campus in places, Newport’s Friars Walk was done by the EU, Jobs Growth Wales was funded by the EU in collaboration with our own government. Not the UK Government. Westminster have had no interest in funding Welsh projects, but the EU did. Everything that made me proud of the Welsh people has been thrown out of the window in a fit of… well, I really don’t know. Did we forget who we were? Did we forget that we fight with love and not hatred. We are a strong community that understood we were stronger when we were together. 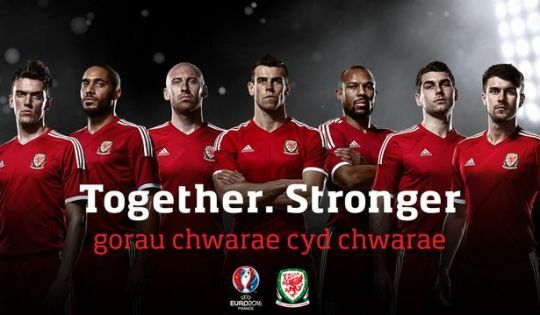 Just look at Euro 2016 slogan and song for Wales. It’s called Together Stronger. We are a community that never ran away before, so yes… I am ashamed on this today, to call myself Welsh. My thoughts on the Orlando Shooting. I have been trying to gather the ability to speak let alone write about my feelings on the shooting at Pulse in Orlando. I am Pansexual and have been openly in the LGBT+ community since I was 15/16. I have been lucky to not experience homophobia to my face but I have seen it directed at others. It upsets me greatly to see day to day negativity thrown at the LGBT+ community, but from what I have seen of my generation so far and the people I have met through my life. They have supported LGBT+ rights and are always happy to help the movement. For the past few years I have been happy to see such massive steps towards equality, then when news broke on the Orlando shooting I wasn’t able to process how I felt on the matter. Yet, the community has gathered together to mourn the lost lives and to fight that this never happens again. It’s inspiring to see. My thoughts are with the families of those effected, those who experience discrimination on a daily basis and to the innocent lives lost. Equality may not happen in our lifetime, but I won’t let other experience that kind of pain. I took a trip up to Pontsticill Reservoir today to look around and bust out the old camera for a few shots. Going to Pen Y Fan soon.